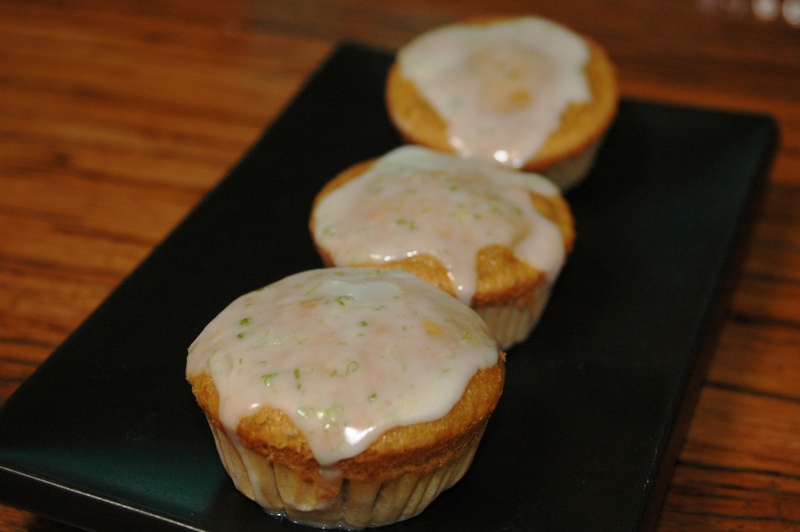 One of the things I love about low fat cakes is the simple muffin style way of making them. Two bowls are needed, one for wet and one for dry ingredients. The fat most often used is liquid, either oil or melted butter. Once the wet and dry ingredients have been mixed together separately, the two are combined and gently folded together until only just mixed through. 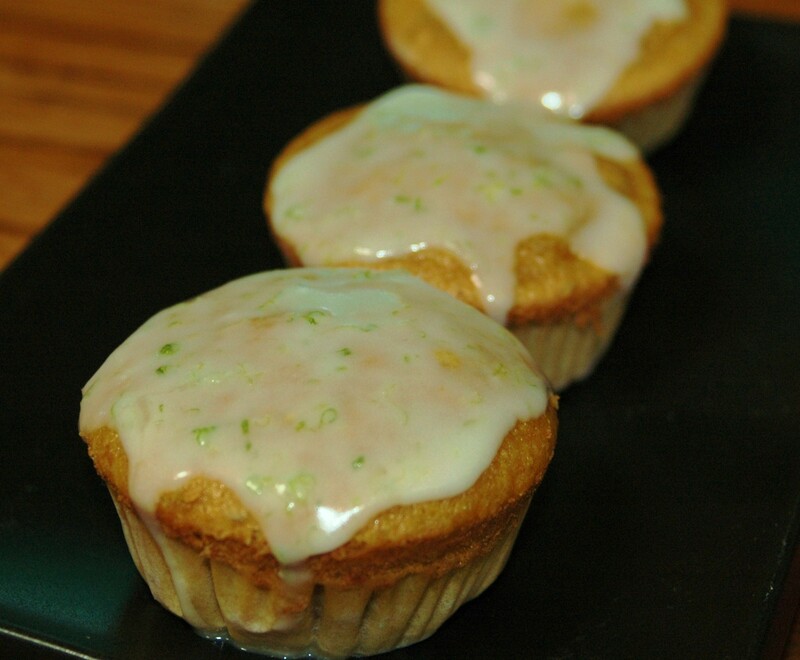 Over-mixing can develop the gluten in the flour (that’s why you knead dough) which will develop a tough, rough textured muffin or cake in this case! In summer a few fresh blueberries could be added to the centre hole and on the top to really lift presentation. 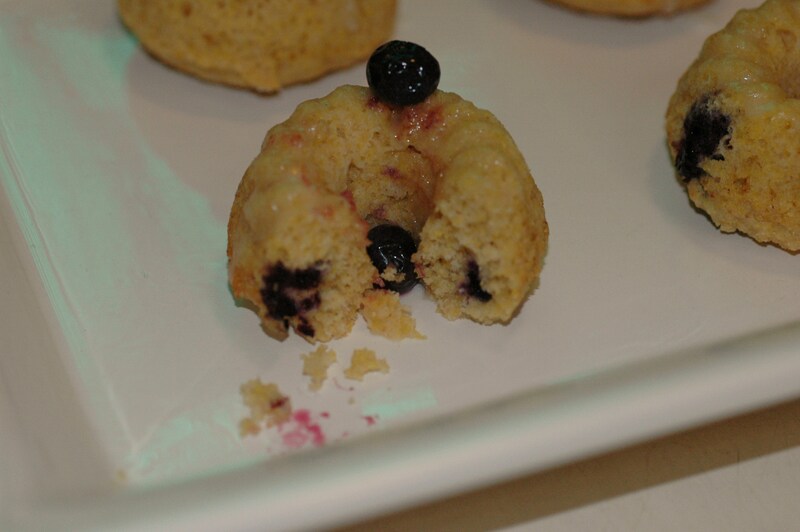 I tried with a few de-frosted frozen blueberries but they looked a little deflated! 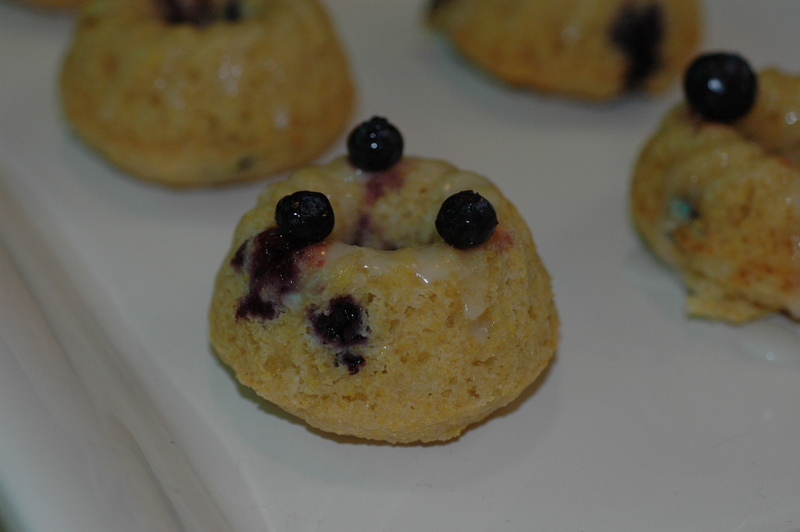 Combine sifted flour, polenta, sugar, blueberries and lemon zest in a medium sized bowl, mix well to combine ingredients and coat blueberries with flour. Make a well in centre of mixture. In a smaller bowl, whisk egg, then add buttermilk and oil, whisking well. Add buttermilk mixture to flour mixture, stirring gently until completely combined. 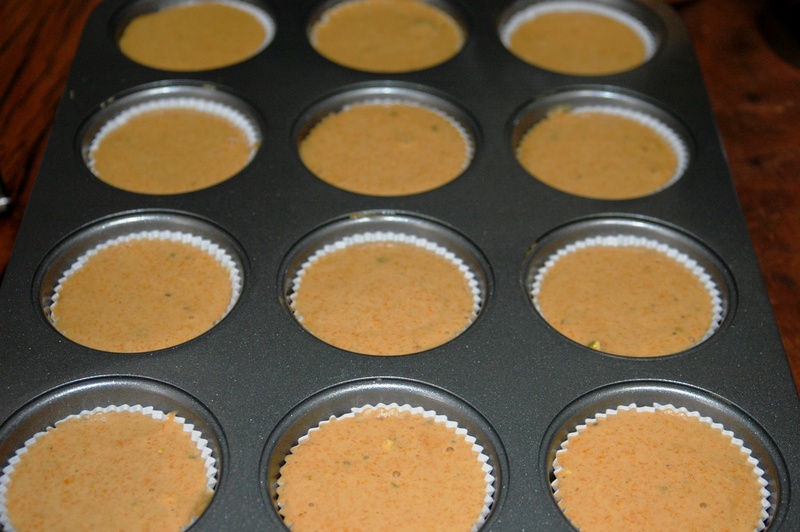 Carefully spoon batter into the 8 prepared pans and smooth top. Bake at 170° for 12-14 minutes or until firm to touch. Allow to cool in tin for 2-3 minutes before loosening each cake gently around edges with your fingers, then flip tray onto a cooling rack allowing the cakes to pop out of the tin. 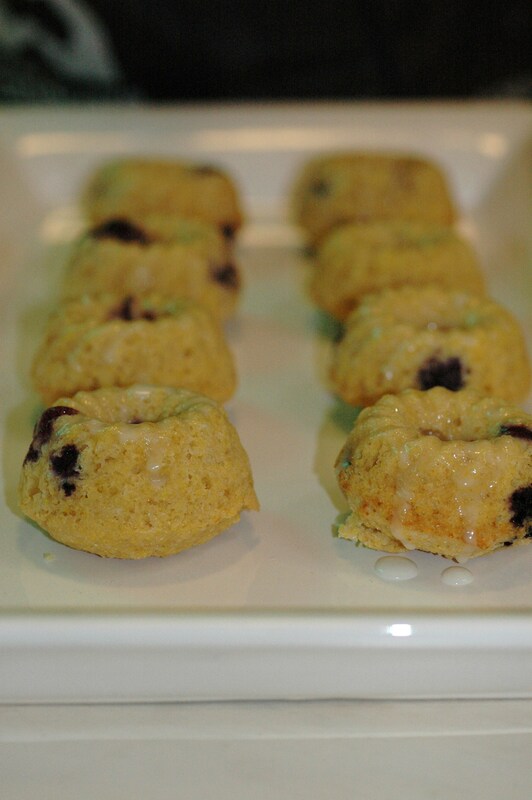 Allow to cool almost completely before drizzling with the glaze mixture, or enjoy just as they are! Monday the 16th August was RSPCA Cupcake day. People all over Australia were encouraged to bake delicious cupcakes and sell them with all takings going to this fantastic organisation. So of course I had to get involved, especially since the RSPCA is my number one charity. 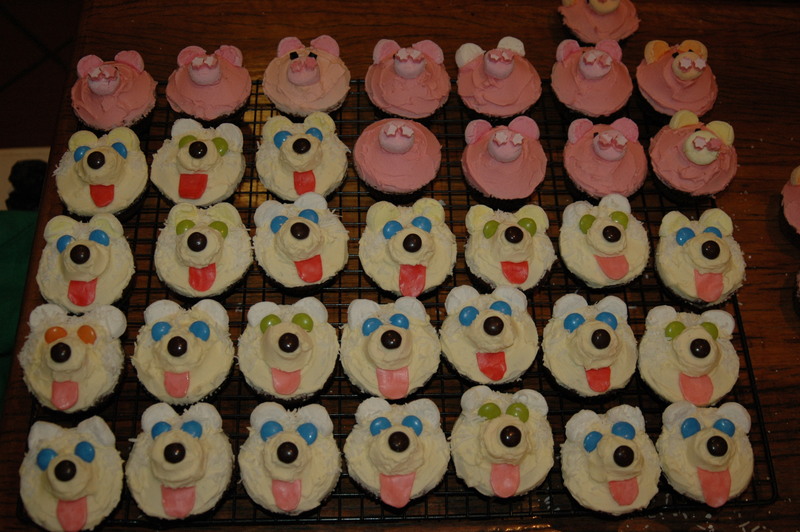 To make the cupcakes I started with my favorite cupcake and icing recipes from Women’s Weekly. 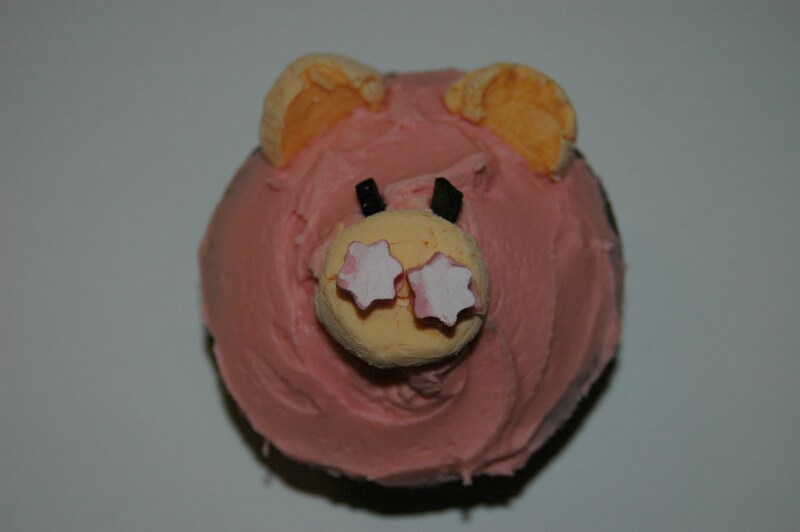 I made the up the decorations for the piggie cakes following the photo from the web. 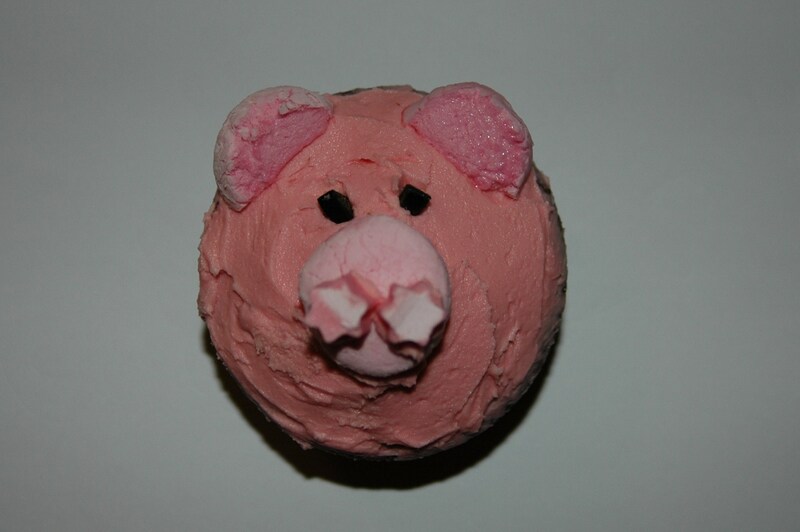 Added rose colored food dye to the icing and used mostly pink marshmallows for the nose and ears, until I ran out and had to use apricot ones (see below)! I sliced musk sticks to top off the nose and chopped up licorice for the eyes. 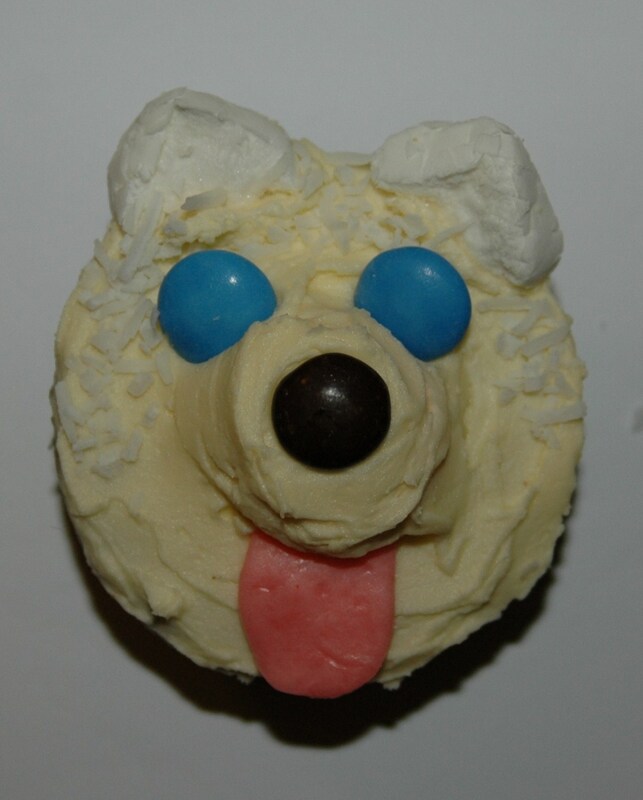 For the pup cakes I followed the instructions on raspberri cupcakes, however I used smarties for the eyes instead of choc chips, I added ears (half a marshmallow like the pigs) and instead of fairy floss (where do you buy that stuff??) I used shredded coconut. I originally saw this recipe on Jamie Oliver’s television show ‘Jamie at Home’ and they looked so yummy and easy I just had to try making them. I do love food with pumpkin in it, but so often you need to cook the pumpkin first, which I usually can’t be bothered with. When it came time to making these, I couldn’t help myself and cut down slightly on the amount of sugar and oil he used. They still turned out great! I have also halved his original recipe as the more I make the more, of course, I would have to eat (and they do taste best fresh). Everyone at work LOVED them and liked them even more when they found out they were ‘healthy’!! Preheat the oven to 170 degrees. 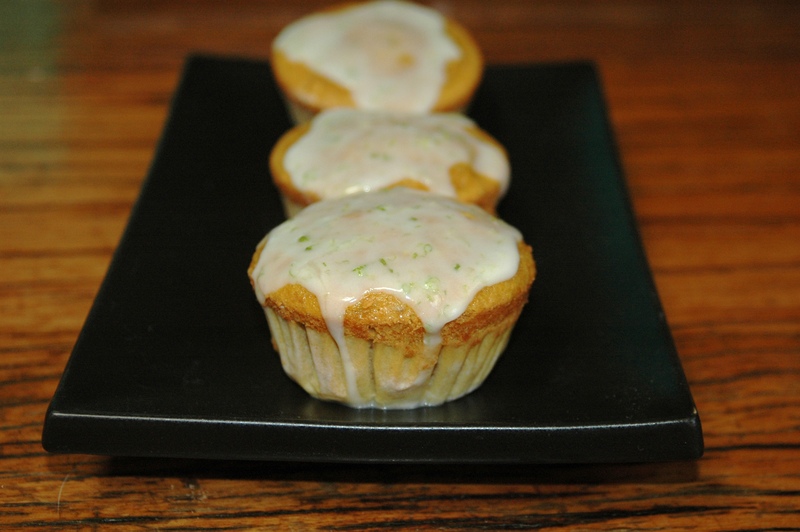 Line your muffin tins with paper cases. 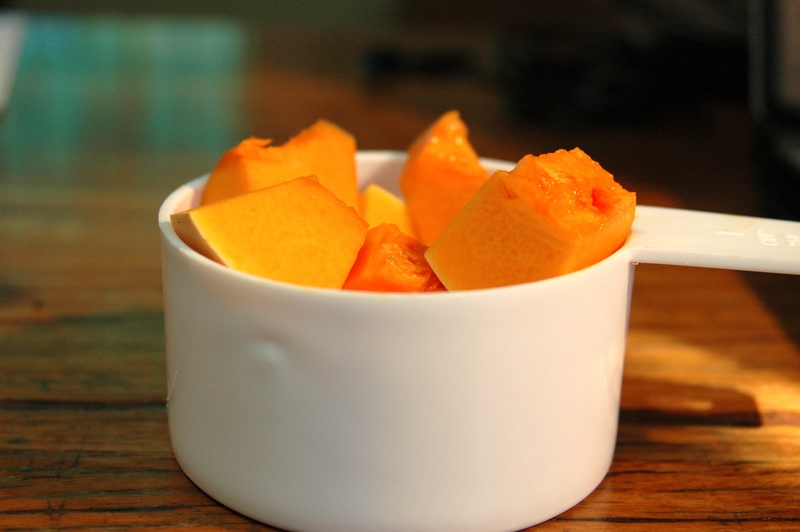 Whiz the pumpkin in a food processor until finely chopped. Add the sugar, and crack in the eggs. Add the flour, walnuts, cinnamon and olive oil and whiz together until well beaten. You may need to pause the machine at some point to scrape the mix down the sides with a rubber spatula. Try not to overdo it with the mixing – you want to just combine everything and no more. Fill the paper cases with the cake mixture. Bake in the preheated oven for 20 to 25 minutes. Check to see whether they are cooked properly by sticking a wooden skewer into the middle of one of the cakes – if it comes out clean, they’re done. If it’s a bit sticky, leave them in the oven for a little longer. When cooked, remove from the oven and leave the cakes to cool on a wire rack. 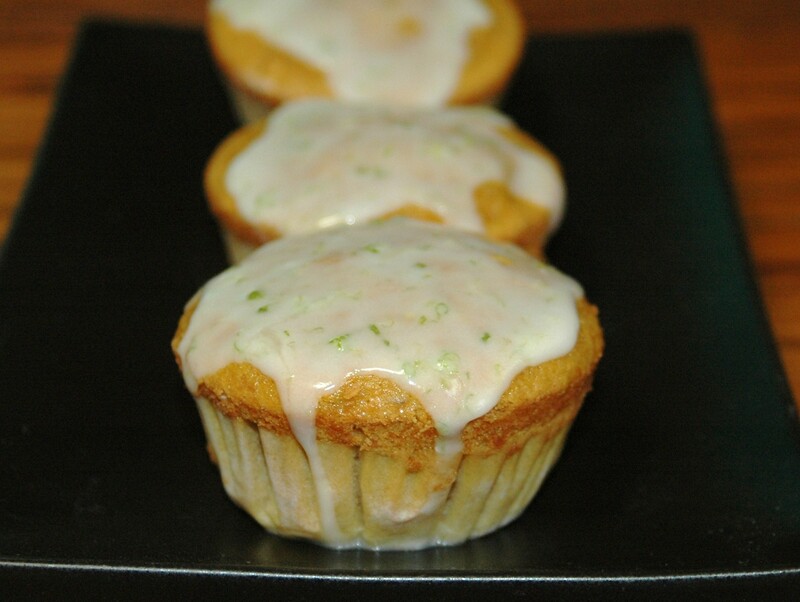 When cooled, make glaze by adding all the zest to the icing sugar. Then slowly add lime juice until you have made a soft and slightly running glaze (if too runny it will run right off the cakes!!) 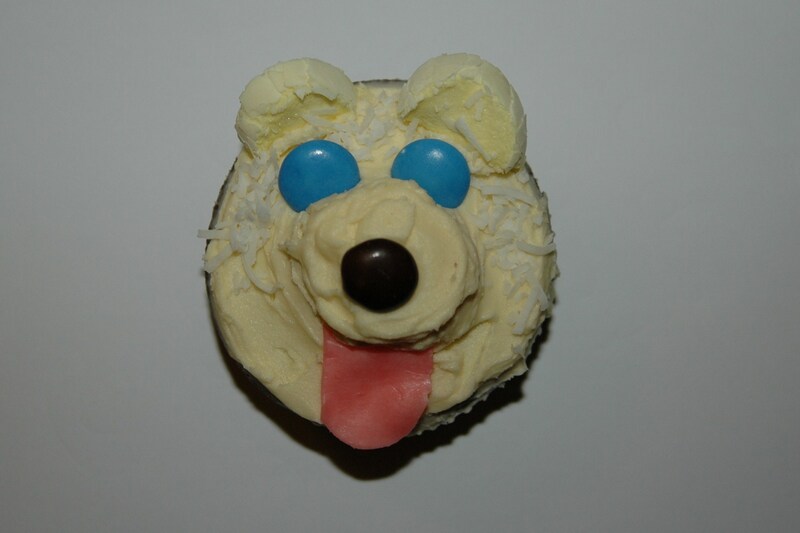 Or of course you can make Jamie’s sour cream frosting, but for me that was just a bit too indulgent! !